When the chequered flag drops at the end of the MotoGP race at Valencia on November 11th, Casey Stoner will walk away from the sport. Announcing his retirement in the pre-race press conference at Le Mans, the two-time MotoGP champion cited that a lack of passion and enjoyment for the sport, along with new family commitments were the driving force behind his decision. Since the introduction of CRT to the premier-class, of which the Australian is a harsh critic, he has become dissatisfied with the direction the sport is heading, believing that MotoGP should focus on prototype racing with the highest calibre of machines. Despite his age, Stoner has been racing for the best part of his life. He started at only four-years-old, moved to Europe to contest the Aprilia Superteens at 14 and has been in Grand Prix racing since 2001. It's a surprise because he's very young, the same age as me, and very talented. There is big pressure here, even though we are young we've been here a long time racing at the top. But at the end of the day you have to put everything on a balance and decide what's best for you. And maybe for him now, the balance is not right. I understand him and respect his decision, and I respect him because he has been great. Casey is one of the strongest and one of the most talented riders in the history of motorcycle racing. For next year he won't be there so it's going to be a little easier all the other riders, for sure. Yeah, it was a big surprise because personally I think he could have continued at a minimum for another season. 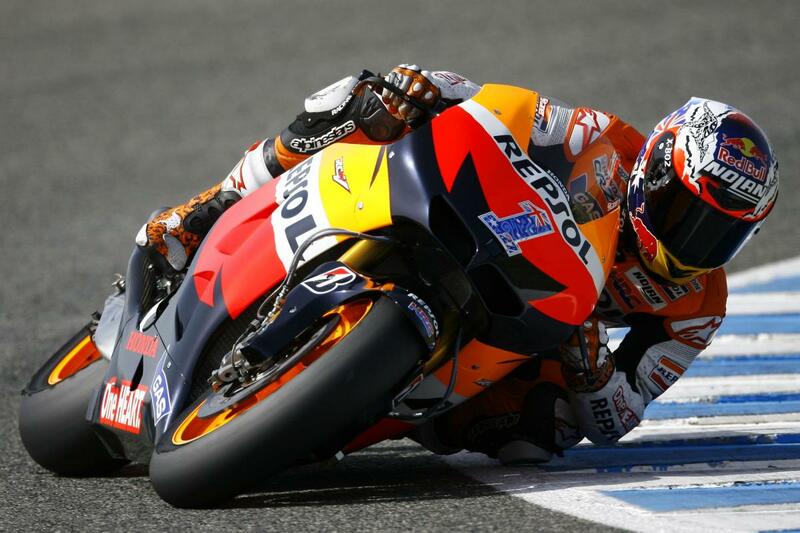 It is a pity, especially for MotoGP, because we are losing a great rider. You know I kinda saw it coming, I figured he might have another year left in him and if he retired this year I didn't think he'd announce it so early. He's got a family, a kid now, and the MotoGP championship is rough, even if you're single for travelling. He's got his family and he wants to have another life besides racing, that's fair play to him. That's what he wants and what he said he always wanted years ago. It doesn't really surprise me but it's a big shake up for the championship. I tried to convince him to stay another year, but I couldn't. Maybe this is my fault. He will have his reasons otherwise he wouldn't have decided for it and you've got to respect that. You give so much for your sport and then there's a moment that you think, 'that's it' and I knew when it was for me at the time but for him being so young he has the option obviously to not quit for the rest of his life, he can take a break, a sabbatical, and comeback. What are your thoughts to Stoner's decision?